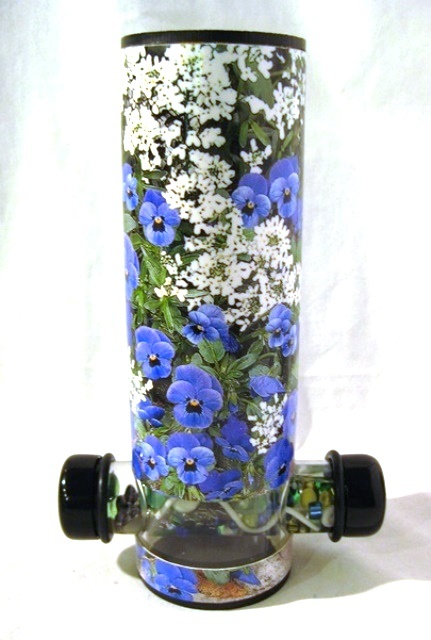 Pretty blue pansy and white flower photo wraps around the acrylic tube body of this kaleidoscope by Laura Wilde. Body is 7" long x 2.5" in diameter. 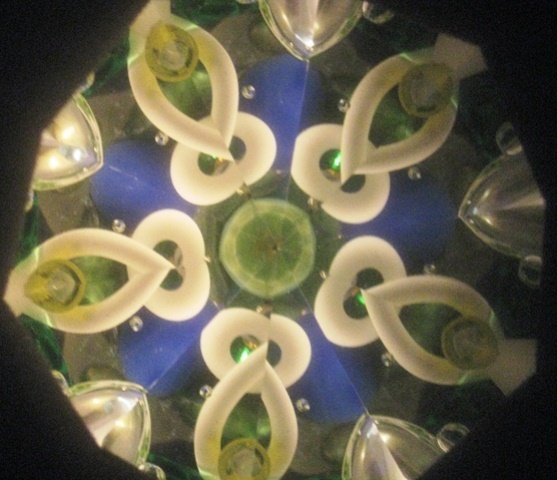 2 mirror, 5 point image. 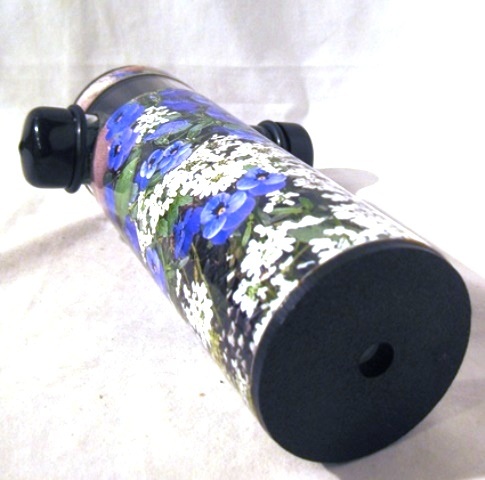 Turning oil cylinder object cell is 4.5" x 1.25" in diameter. 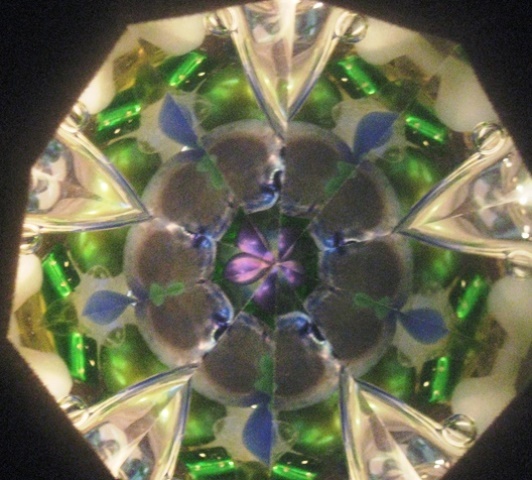 Blue, white and green are the predominate colors in the images.